Kent and his club have until 3pm today to respond to the charge, which came after three former match officials unanimously declared he should be punished for the incident. If the 22-year-old accepts the charge, he will miss tonight’s visit of Hearts and Sunday’s trip to Motherwell. If he challenges it, a fast-track tribunal will take place tomorrow and he will be free to face Hearts. 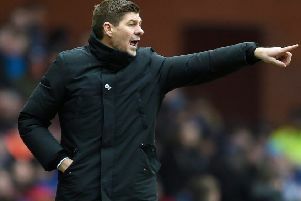 Brown later posted a photograph of him laughing at Morelos following the Colombian’s red card on social media and Rangers boss Steven Gerrard told his players to remember the message. Gerrard said: “That’s all part and parcel of being involved in the Old Firm. Celtic are entitled to celebrate. It’s fine, we haven’t got a problem with that at all. “I know what I’d do but we will wait and see how my players react.